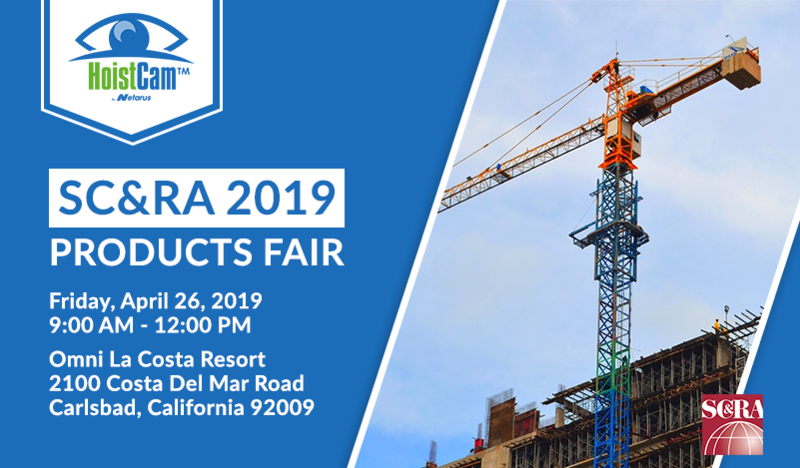 Netarus will be demonstrating the HoistCam wireless camera system for cranes at the Products Fair on Friday, April 26th from 9:00 AM – 12:00 PM. HoistCam is a wireless hook block camera system designed to eliminate blind and distant lifts on cranes and heavy equipment for operators and managers. HoistCam also includes boom tip cameras and winch cameras providing complete vision to the crane operator across construction, industrial, marine and transportation industries. HoistCam’s platform extends even further with HoistCam Director for remote monitoring. Have you attended an SC&RA before?